For years, Kiev’s rotating cast of political leaders knew something was deeply wrong with the Ukrainian army. The military inherited an overweight and inefficient Soviet organization and size—geared towards a war with NATO. A few years prior to the invasion of Crimea and the war in the east, Ukraine set out on an ambitious plan to reform the army and reorient to defend against Russia. But the plan came at the worst possible time. The financial crisis not only wrecked the military, but the timing of the reforms further worsened the damage. It was so bad, the military couldn’t even pay its utility bills. Russian military analysts Anton Lavrov and Alexey Nikolsky recount Ukraine’s failed attempts to reform its military in an essay for the recent book Brothers Armed: Military Aspects of the Crisis in Ukraine. According to the authors, the reason the 2008 crisis hit the Ukrainian military especially hard is due to a quirk in how the army is funded—heavily through selling off gobs of surplus Soviet vehicles and weapons. 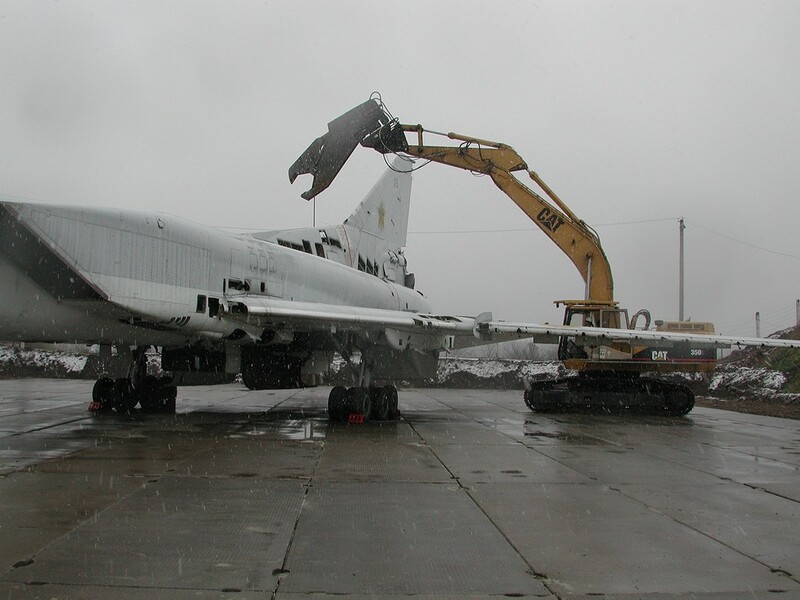 In effect, the Ukrainian military was one of the world’s biggest junkyard businesses. Not all of Ukraine’s military received funding this way. Kiev splits its budget into two pieces—a general fund and a special fund. The general fund comes from taxes and pays for most government services. The special fund comes from privatizing old, state-owned assets. The military relies most on the general fund—like most Ukrainian institutions—but relies more on the special fund than most do. This made sense considering the country’s post-Cold War history. The army had a lot of equipment it didn’t need. In 2001, Ukraine had nearly 4,000 tanks and more than 4,600 armored fighting vehicles. There were more than 3,700 artillery guns. More than 1,000 planes and helicopters and dozens of warships. Not to mention buildings, bases and all kinds of equipment. The overwhelming majority of it was unneeded, unused and falling apart. And this is because the Ukrainian military was—and still is—a massive Soviet-era machine in a country much too poor and disorganized to use more than a fraction of itself. In 2008, the pro-NATO government of Prime Minister Yulia Timoshenko ordered a major reform of the military, with defense spending to increase sharply the following year—paid for by surplus arms sales funneled into the special fund. If it all went according to plan, the army would be smaller, readier and have better equipment. Plus, the reform would begin shifting forces to the east to defend against a hypothetical future Russian invasion—a threat made deadly clear after the 2008 war between Russia and Georgia. These steps would also help move Ukraine on track toward securing NATO membership. Crucially, the military would reform its command and control systems. Later that year, the financial crisis hit. The military went broke practically overnight. Expecting the budget to increase by one-third in 2009, the military budget actually collapsed from to $1.54 billion to $1.23 billion. In 2010, the budget dropped to $1.1 billion. Most of the decline came from unexpected shortages in the special fund. As one could imagine, the frequency of training exercises also fell. In 2008, the Ukrainian army conducted 10,773 small arms firing exercises. In 2009, the number fell to 1,556. In 2008, the army carried out 939 exercises from the squad up to the brigade level. In 2009, there is no data at all. In 2010, the total was a mere 115 exercises. Training with ground vehicles was hit worst of all—because the army couldn’t afford fuel. The average number of flight hours per fighter pilot fell by half. The result is that Ukrainian pilots entered the 2014 war with badly degraded skills. Few were qualified to fly at night or in bad weather or to carry out strikes against ground targets. The result has been errant bombs that hurt civilians. Meanwhile, the Russian military was dramatically reforming itself into a more professional fighting force—while the Ukrainian army fell apart. Kiev partially recovered by the beginning of the war, but was still well below its pre-2008 strength. “Ukraine had turned from one of the most militarized countries in the world to a state whose army was poorly armed and equipped, suffered from low morale and was anything but battle ready,” the authors write. It’s likely for this reason, among others, that Russian president Vladimir Putin decided to gamble on invading Crimea, before backing a stealth invasion of eastern Ukraine. The reasoning—he’d likely succeed. Editor at War Is Boring. Email: firstnamelastname (at) gmail.